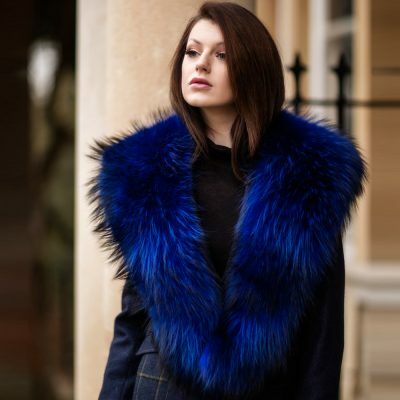 This large cobalt blue / green Louise Raccoon fur collar has been made from the highest quality genuine Raccoon fur from Europe. 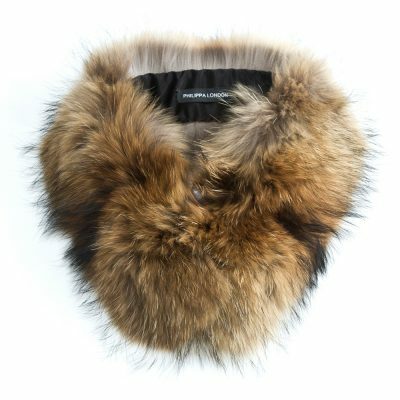 The Louise fur collar is backed with 100% silk lining with a hook fastening at the centre point. 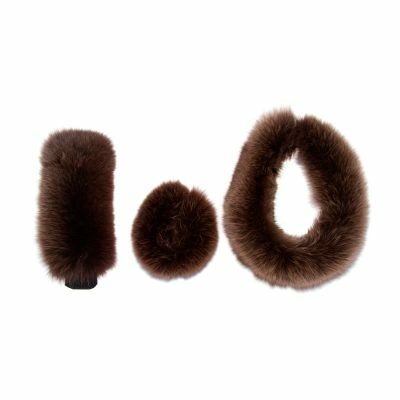 This Raccoon fur collar is an ideal easy to wear piece that allows you to travel from winter into spring. Can be worn during the day over a sweater or blouse, or as an elegant evening piece. 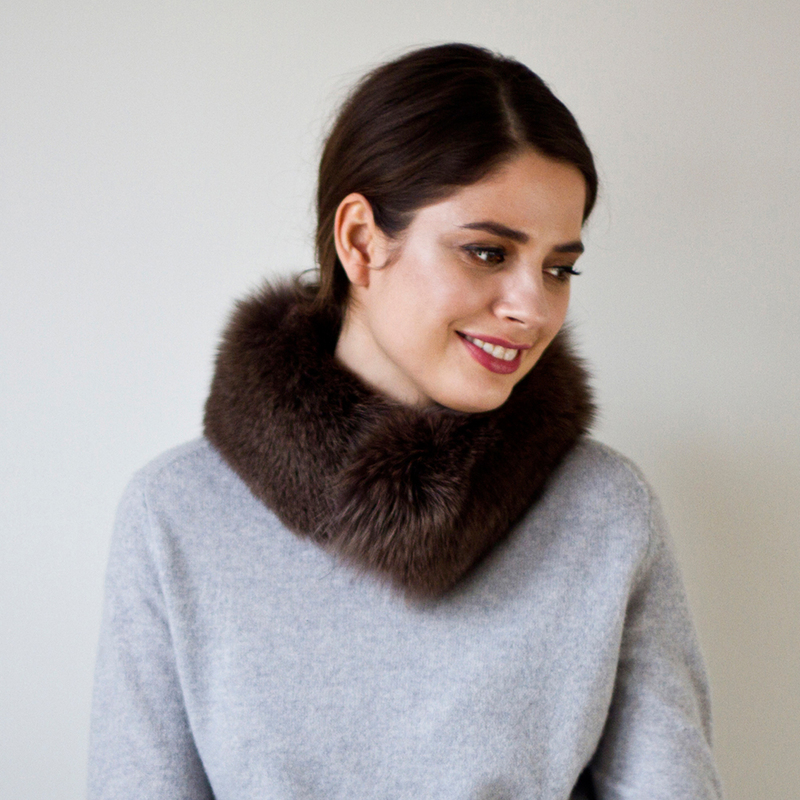 Philippa London wears this extra large Raccoon fur collar to lift her much loved cashmere coat when she goes shopping on the Kings Road.